On this site was the house of Andrew J and Susie Davis Noel, built 1924. Active in the NAACP the Noels hosted Freedom Riders here in 1960. 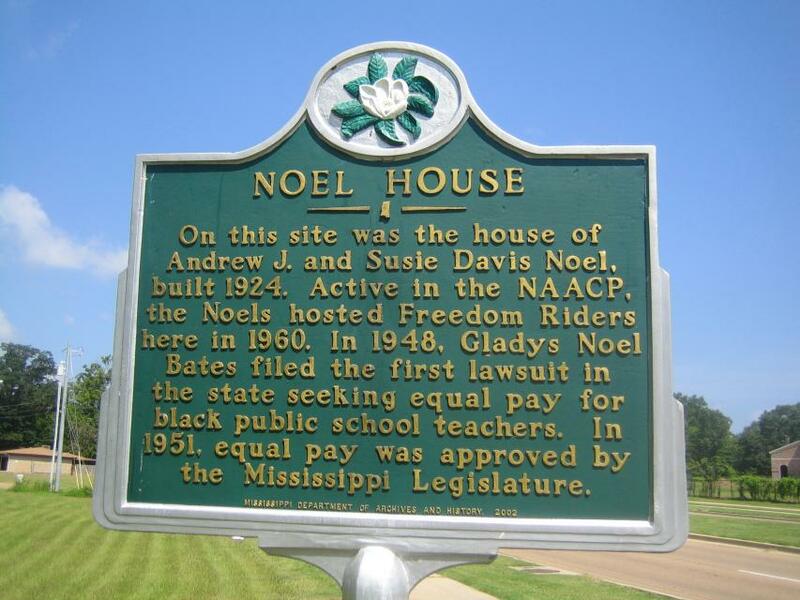 In 1948, Gladys Noel Bates filed the first lawsuit in the state seeking equal pay for black public school teachers. In 1951, equal pay was approved by the Mississippi Legislature. This marker can also be identified by its HM code. You can use the hashtag #HMYJ3 in tweets, and any other place where you might refer to this marker, including when searching on this site.